In today’s fast-paced and ultra-competitive high-tech environment, an effectively managed patent licensing program is a must. The Second Editio n of Drafting Technology Patent License Agreements shows you how to achieve one. This valuable resource covers all of the legal and business transactional issues you are likely to encounter during the drafting and negotiation of patent licensing agreements. 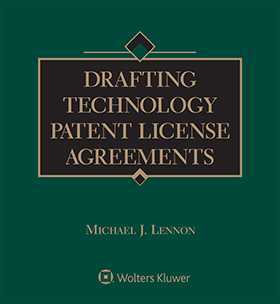 It guides you step-by-step through the unique aspects of the implementation of a patent licensing program for computers, electronics, telecommunications, and other industries, and it clarifies the issues involved in the enforcement and litigation of these patents. And many more critical issues like these.